Description: Parabo Press is a photo printing service created for the new generation of memory makers, photo takers and living space stylists who want to show off their photos with high-quality prints at accessible prices. We offer fantastic promotions including free 4" square prints and 5.5" square photo books where the customer just pays shipping. 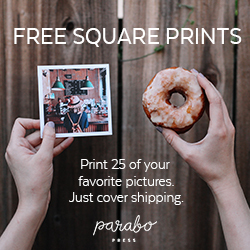 Parabo Press is a photo printing service created for the new generation of memory makers, photo takers and living space stylists who want to show off their photos with high-quality prints at accessible prices. 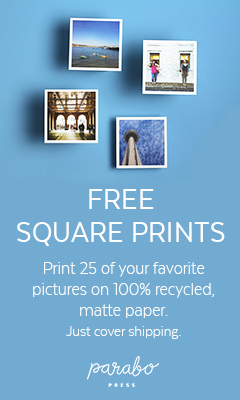 We offer fantastic promotions to drive sales, including free 4" square prints and 5.5" square photo books where the customer just pays shipping. Our conversion rates on app and web are strong. And our current customer base includes female millennials (single and married with kids) and photo-centric males who purchase prints for decor as well as gifting.